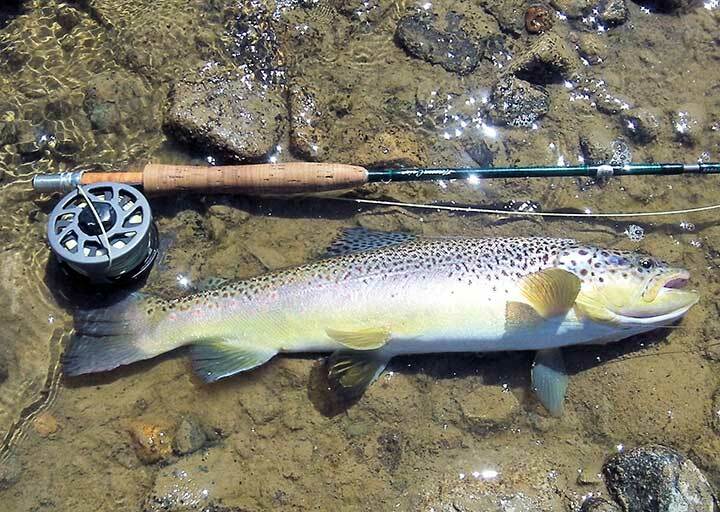 You've read what we wrote about choosing your first fly rod, made your decision and made your purchase. Now you need to buy a fly reel to go with it. What things should you consider in making your decision? Let’s look at a few of them. QUALITY: As in almost everything, quality and cost generally go hand in hand when purchasing fly reels. And as in most things, once you reach a certain price point there is only a marginal increase in quality with increased price. Fly reels are no different. 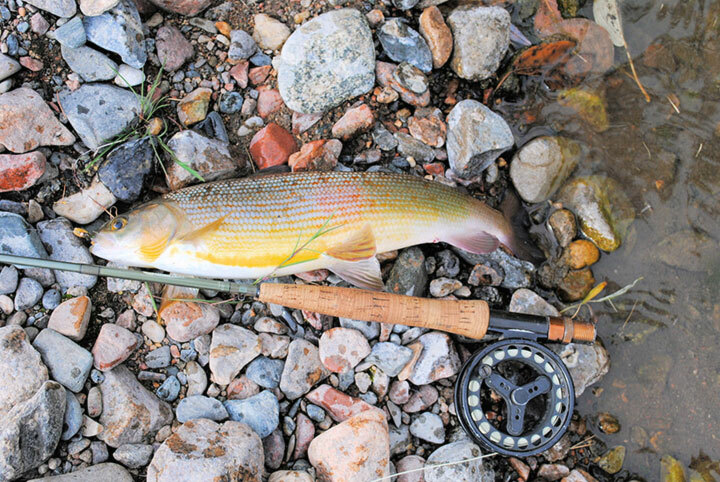 Unlike other types of fishing, except for saltwater fly fishing and fly fishing for big and powerful fish like pike, a fly reel is much less important in landing a fish. A fly reel’s primary purpose is to hold your fly line. That doesn't mean that you should try to find a way to use an empty orange juice can for a reel or buy the most inexpensive reel you can find. I’ve tried the old orange juice can and it doesn’t work very well! The same goes for low end fly reels. The low end reels have very poor tolerances between the moving parts. This can and does lead to problems with the line getting caught between the spool and the frame and other problems which lead to a lot of frustration out on the stream. Another problem with low end reels is that they don't have inter-changeable spools. Having the ability to change spools and line types greatly increases your fishing options. 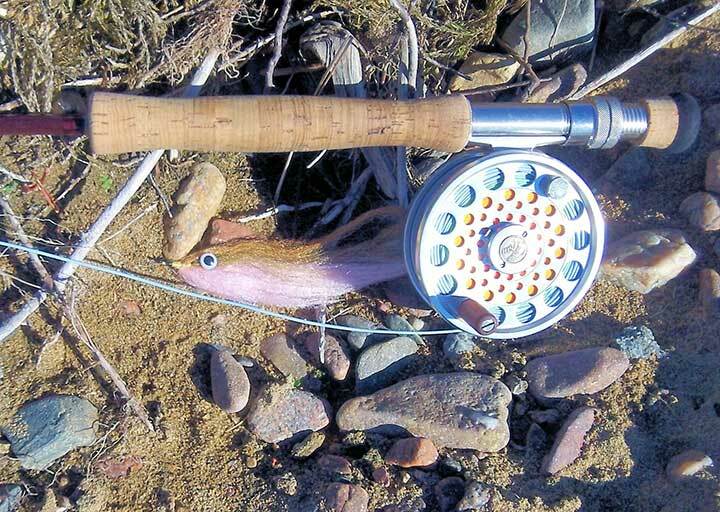 Having an additional spool with a sink tip line will come in handy if you need to switch to streamer fishing because of changing conditions or are targeting species such as smallmouth bass. REEL SIZE: Fly reels come in different sizes to match the weight of the rod and line you are using. In much the same way that a fly line is matched to a rod, a fly reel’s size should be matched to line and backing capacity. Reels are rated for 2 or 3 line sizes and an associated amount of backing, for example a reel might be designated as: “UP TO WF6 WITH 100 YARDS BACKING”. If used with a 5 Wt. line more backing would be suggested. ARBORS: The arbor is the center spindle or radius of the portion of the reel thatholds the line. Up until about 2000, most reels had a relatively narrow diameter spindle, about the diameter of your finger. This narrow diameter meant you had to put a lot more backing on your reel to take up space. Without all the backing for a spacer, you had to make more revolutions of the spindle to take up line. And the tight coiling of the line resulted in a lot of very narrow loops that could “kink” and cause problems. Then came the large arbor reels. These reels, as the name implies, have a very large diameter mechanism for holding the line. Large arbor reels allow you to take up much more line for each revolution of the reel. For saltwater fly fishing this can be a great advantage because it allows you to get a powerful fish under control and landed much more quickly. Of course as with anything there is a downside. The downside to a large arbor reel is that the reel has to have a much wider total diameter in order to hold the required backing. More recently the trend has been toward mid arbor reels as a compromise between the classic arbor size and large arbors. The midsized arbor reels are a good compromise allowing you take up line faster than with a small arbor reel and not have the increased diameter and weight of a large arbor reel. DRAG SYSTEMS: Fly reel drags have a practical, if often unappreciated, purpose in that they prevent the fly line from over running the spool and getting tangled up. Just try turning off your fly reel drag completely and then strip off some line as if you were preparing to work out line for a cast. You’ll soon have a mess on your hands. When casting and fishing, it’s best to keep your drag adjusted to just that perfect tension that allows you to strip line smoothly without allowing the spool to keep running after the strip. Except for the most inexpensive fly reel, the drag system is a disc drag systems. Disc drags use cork, Teflon or other synthetic material discs. The pressure (friction) between the discs can be adjusted to give almost infinite degrees of drag pressure. LEFT OR RIGHT: I’m primarily a right handed caster so it is intuitively obvious that I’d reel with my left hand. If I was a left handed caster I’d reel with my right hand. Every reel I’ve ever owned came prepared to be reeled with my left hand. Don’t worry if you’re a lefty. Changing from left to right handed retrieval is a very simple operation. Your reel will include instruction on how to do it. WHAT TO GET: If you are on a tight budget, start with the basic premise of “invest in the rod and not the reel.” So what reel should you get? I would go with mid-price, mid arbor and a matching extra spool. Even if not on a tight budget I’d still go that way. I’d use the money I save by buying a good basic, serviceable reel for taking a fishing trip. What Fly Reel Should You Buy?